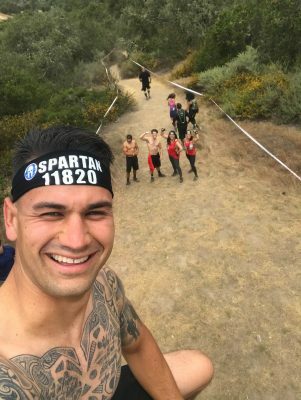 The Spartan Super in Monterey was super fun, super tough, and super special. How could it not be? Taking on this course with both BoBo, YaYa, and a whole lot of other cool people was such a fantastic experience. BoBo stayed by my side for the first 3 miles. YaYa and his friend Nicco waited for us (me and Nicco’s mom) at each obstacle before moving on. 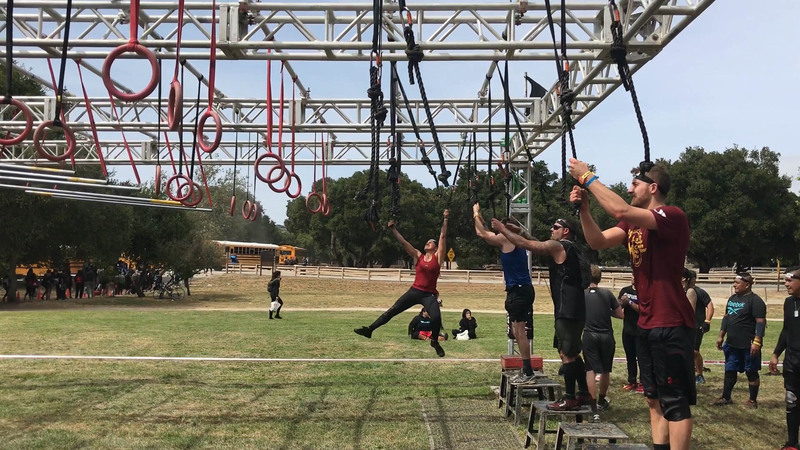 Having had researched the tutorials for the obstacles listed on the course map which I was unfamiliar with ahead of time helped me out tremendously. This was especially true for the Bender since I could barely reach the bottom rung. 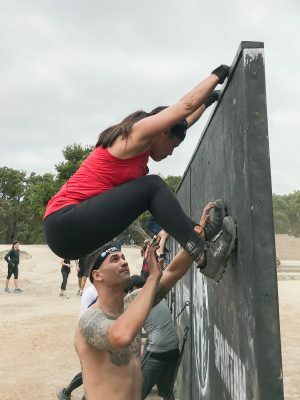 There were other obstacles (such as the walls and hurdles) that, no matter how much research I’d done, I simply didn’t have the strength and agility yet to master without help. But I did what I could on my own and asked for help at the points where I needed it. Sometimes, just having a spotter there just in case was all the help I needed. Other times, I needed a huge boost to get my hands to a place where I could take over the effort. Of course on obstacles, like Stairway to Sparta, getting up the first portion isn’t the worrisome part. As you climb to the top of the obstacle, the world is seen from such a different perspective. 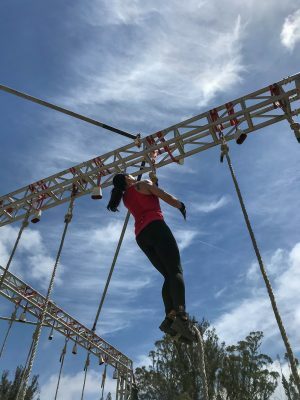 You face your fear of heights while taking in the amazing scenery from the landscape below as well as the community of racers who are taking on the course with you. It’s a truly amazing sight to behold. The people you meet along the way are some of the coolest people you’ll meet. Everyone is willing to offer a hand to a stranger when needed. And if you need help, all you have do is ask for it. 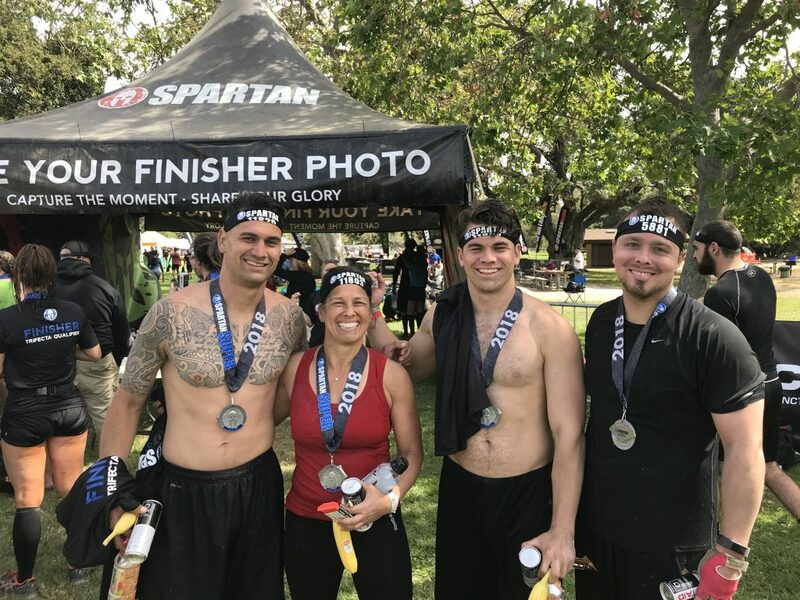 We are Spartan — and this is how we roll. 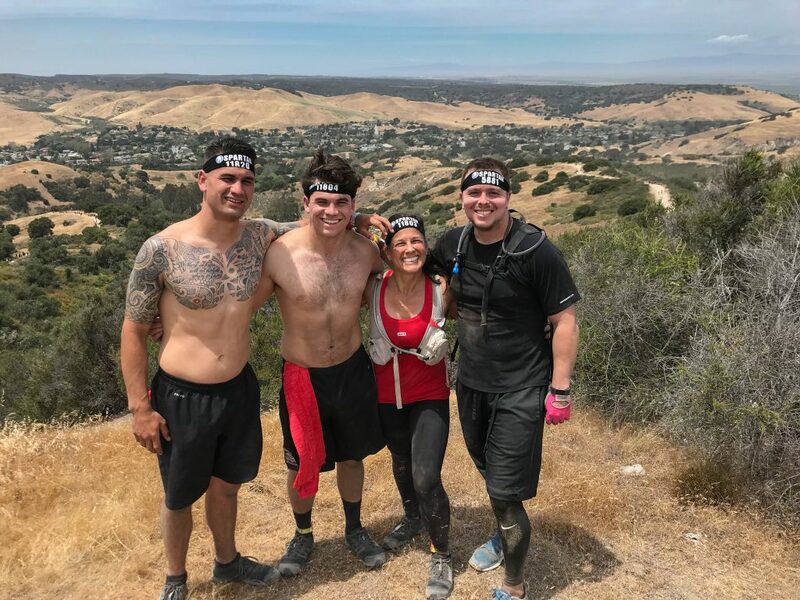 Personally, my goal was just to finish the race and complete as many obstacles as I could. I paced myself, careful not to go out too strong and risk bonking, especially because I’d never raced being fat-fueled (instead of fueled on carbohydrates). I surprised even myself at places. The strength and confidence I felt on the rope was priceless. This was the one place where the boys looked to me for guidance on the foothold technique. We ALL rang the bell successfully! By mile 3, the gang was itching to keep moving and I felt more at ease not worrying about how long they were waiting for me. We regrouped with Robby (theMAN’s son) around mile 4 where we took in the view from the top of world. Of course, I knew we’d return to the top of the world a bit later, but not without going down first. I was solo for a good portion of the second half of the course. We descended and then ascended to an even higher place. Here was where the hurdles got the best of me when I nearly hoisted myself to the top before rotating to the bottom of the hurdle again. My right inner knee and back of my thigh have the bruises to remind me of my need to further build upon this skill. Fortunately, it was all downhill from here. Oh yeah, except for the steep but short hill just as you return to the festival area for the last half dozen obstacles. Much to my surprise, BoBo, YaYa, Nicco and Robby were all waiting to take on the mud pits and dunk with me. They’d been waiting for a while already and we waited for about 30 minutes more before we moved on without Nicco and his momma (who was battling some awful cramps). The four of us emerged from the dunk wall together and continued to the finish together. The academic demands of Catholic education can be overwhelming beyond measure. Over the past couple of years, with the late night homework followed by the impossible task of getting my child to wake, I have asked myself if it is worth it. Each time the question has been asked has yielded the response of YES. Even this year, when the demand has increased exponetially. 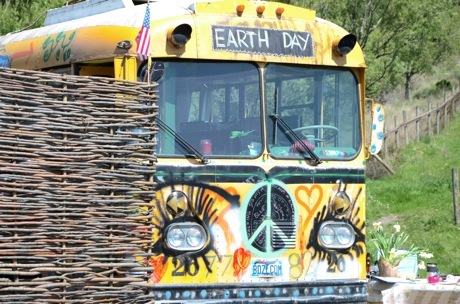 Coming back to the reasons I moved my son from public to private education. The sadness from our experience with a less than supportive set of teachers and administration for my oldest when he started spiraling downwards following his father’s death reminds me of the why. I was seeking an environment which supported the whole person (mind, body, and spirit) rather than one of solely academic measurements and nothing more. The schools we have attended have certainly fit the bill. Still, it’s not been easy. 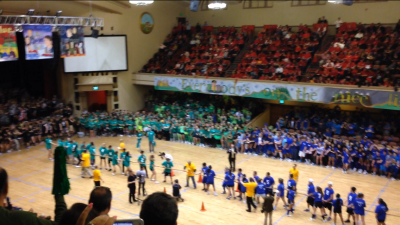 Last night, I was fortune enough to attend the biggest event of the school year. This is an all class spirit competition which calls upon creativity, teamwork, ingenuity, and athleticism in the way of a dance and skit performance by each class, a number of games and relay events of varying types, and ending with a ceremonial ROAR from each class. Each class was also assigned a color which they and their parents wore to show their class spirit. They were judged on creativity, skill, sportsmanship, class spirit, parent spirit/support, the outcome of the challenges put before them, among other things. 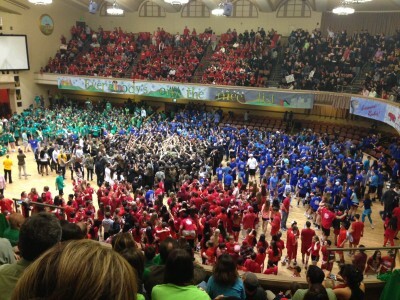 This was 110% competition… yet it was also a coming together of a community. The message is that each individual possesses unique gifts from God, when added together, make this community strong and wonderful. Therefore, we dance and sing, hop, skip, and jump, and celebrate together! 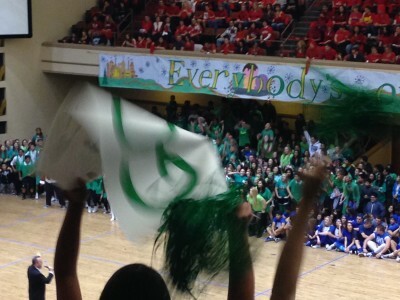 As the scores were being tallied, all the classes banned together chanting “I believe that we will win” (first separately, then all together in unison). Finally, the entire student body (all 1,300) linked arm in arm and began swaying as the sang along to OneRepublics “I Lived.” And although only one class will be listed on the trophy, each of the classes emerged from the event feeling like winners… for indeed, they are. Seeing my son with his peers (smiling, cheering, laughing, being a part of this community) from across the venue helps reinforce the value of this community we have become a part of. It is events such as this which validate our choice in his education as the right one. It makes the homework and sleepless nights seem not nearly as maddening as I had previously thought. For time and time again, when asked, my son has insisted that it is all well worth it for him. The academic load is not madness. This is Madness — Monarch Madness – and we love it. So, I was asked if I would bring my camera to the yoga studio to photograph one of the classes. 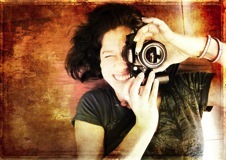 The goal was to get a few shots for the studio’s webpage banner. I was honored, thrilled, and petrified all at the same time. The owner, who made this request, is a talented photographer herself. Brilliant in her ability to visit far off places such as India and Peru and “bring it home.” I would have to step it up a few notches in order for the results to meet her needs. But I willingly took it on, calling her up to get her vision for the end-product followed by a field trip to the studio to get an idea of how to work with the lighting in the room. It should be noted that this studio is a home away from home for me. It’s not just a place I go for a work out; it is a gathering place for the many yogis and yoginis I’ve come to call my friends. The vibe is welcoming and non-shushed. From the grand opening, over 2 years ago, we were encouraged to get to know one another by greeting the person on the mats on either side of ours, to push the edge and laugh out loud when we “fall out” of the pose. It is my community – which I have been missing in these last few weeks as my back has limited me to about 30 minutes of modified self-directed practice at home. It was like a reunion showing up there again. My eyes began to well up with tears. Okay, perhaps not such an odd thing – for me. These tears were NOT tears of being excluded from the class; they were tears of joy for the way I felt connected with them and with their practice. I wasn’t on my mat. I wasn’t doing the poses. But I was practicing yoga. 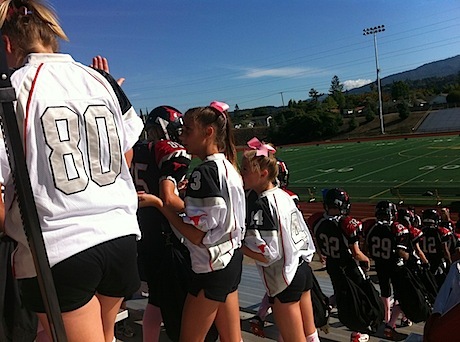 Each year, our football & cheer league sponsors a breast cancer awareness day. For the girls, it’s not a big deal to wear pink. For the boys, however, it could be a really big deal. If any of them have ever complained about it, I’m unaware. Here, the boys march down to take the field wearing pink socks, pink shoe laces, and pink mouth guards. What a way to toughen them up, eh?